These rocky road chocolate chip cookies are a blend of sweet with just a hint of salt so you feel like you can just keep eating them. And in this case, I did. These cookies remind me a bit of s'mores, which go hand in hand with summer. So if you're looking for a dessert to bring to a summer bbq, be a hit at home, or want switch up the standard s'mores dessert; these cookies are the answer! I used TGIF's recipe to create this summertime treat. 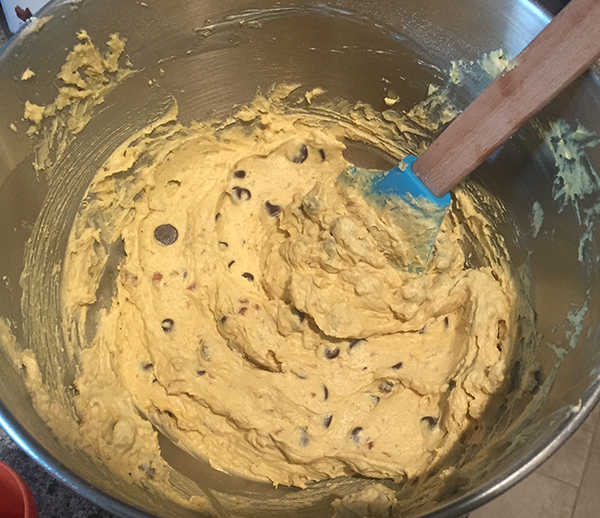 I accidentally mixed in the toppings before the dry ingredients so I had to do a little extra mixing at the very end. I'm not sure how that changed the consistency of these cookies, but when I make them again I'll report back! These cookies remained thick and fluffy after baking. 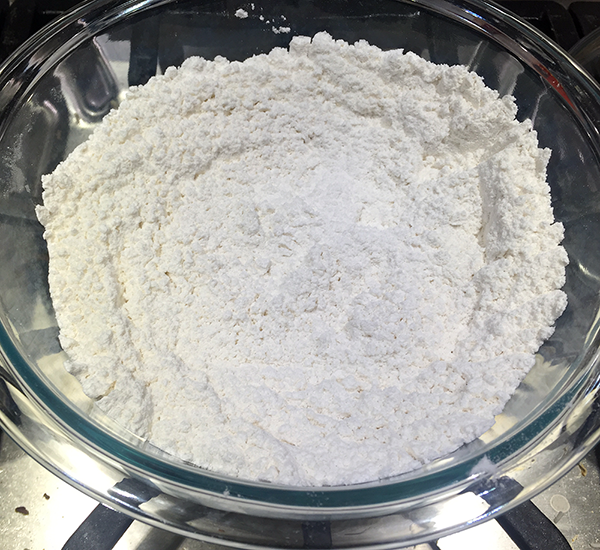 Whisk together the flour, baking soda and salt in a medium bowl. Set aside. 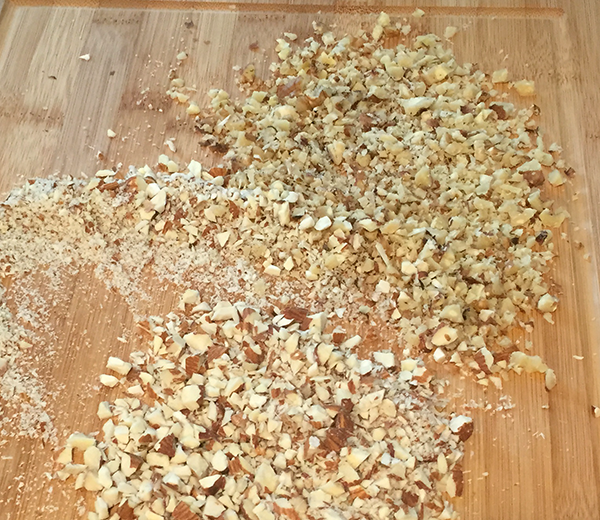 Chop up the walnuts and almonds if needed. In another bowl, cream the butter and sugar. Then add the pudding mix, vanilla and eggs (one at a time) until combined. Next set the mixer to the lowest setting and then slowly add the dry ingredients. 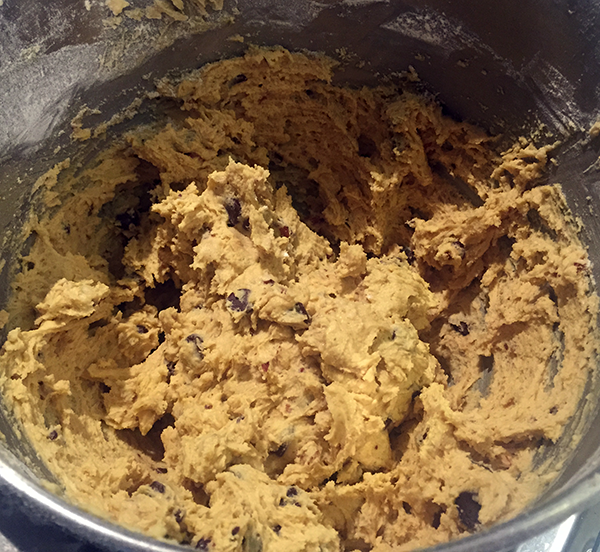 Once combined pour in the chocolate chips, walnuts and almonds, and stir together with a spatula. Phew, really glad I remembered to add those dry ingredients. Grab a baking sheet and line it with parchment paper or a silicon baking sheet. Scoop out and roll the dough into large balls. I had 24 cookies by the end. Saran wrap everything and then stick it all in the fridge for at least an hour or two. I refrigerated mine overnight. When you're ready to bake the cookies set the oven to 350 degrees. Pop the cookies in for 10-12 minutes or until slightly golden. While the cookies are baking ensure you have the marshmallows, chocolate chips and extra nuts ready for topping. When you take the cookies out of the oven, add the toppings to each cookie. Time to broil those marshmallows! Set the broiler on high and then stick the cookies in for 20-40 seconds. Honestly you just need to watch them the entire time because every broiler is different and this situation can get out of hand REAL fast. 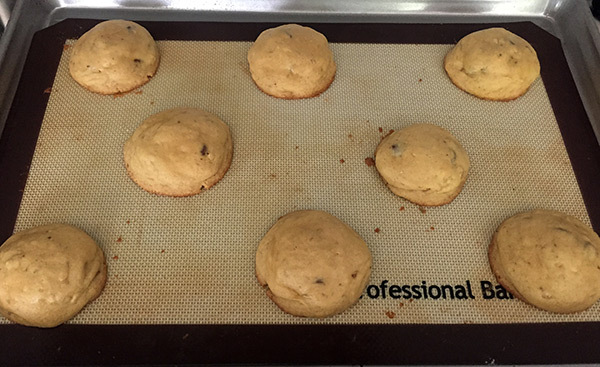 Those cookie tops will turn to charcoal with a few extra seconds spent in there. Just stare intently at the marshmallows and be ready to take them out at a moments notice! Let the cookies cool on the tray for 10 minutes and then move them to a rack to finish cooling. After that, you're all set! You have some awesomely delicious rocky road cookies. Enjoy and let me know what you think!